Our Night of Gaming for Good on Top of the World, Pax Edition--saying it might be a mouthful but it's a mouthful of delicious food. The Columbia Tower Club kitchen will be bringing you a variety of delicious choices with the exclusive VIP selection and the General Admission Buffet! May we present the dinner and drink menus! Seafood Linguine, bay scallops, bay shrimp and whitefish. Mediterranean fare, especially pasta, is the specialty of the new CTC Executive Chef and we look forward to this offering! VIP Dinners include a premium-level dessert: a chocolate mousse parfait with berries. 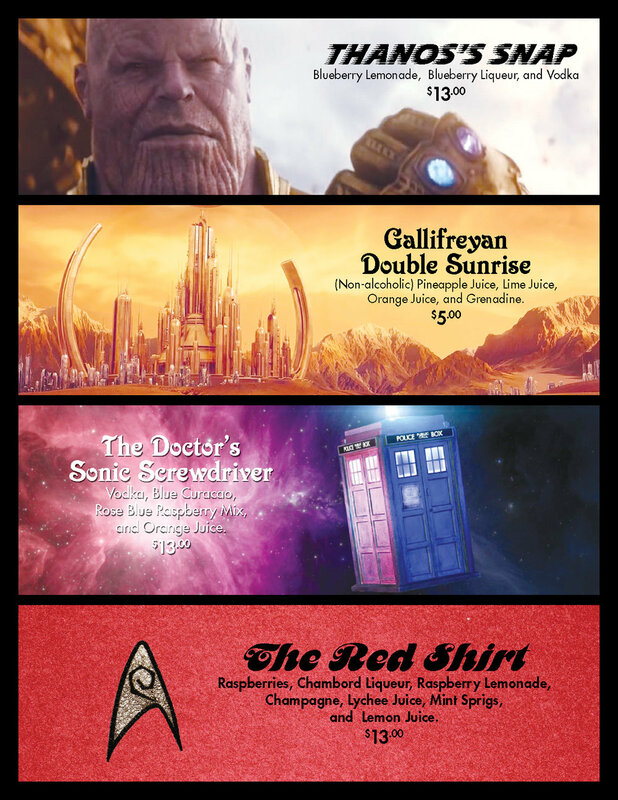 Our cocktail menu will feature tasty geeky-themed drinks! We can't wait to feast and play games with you in three days! We are completely sold out of VIP and we're approaching sold-out status with general admission. We're making final calls for any last minute ticket purchasers!